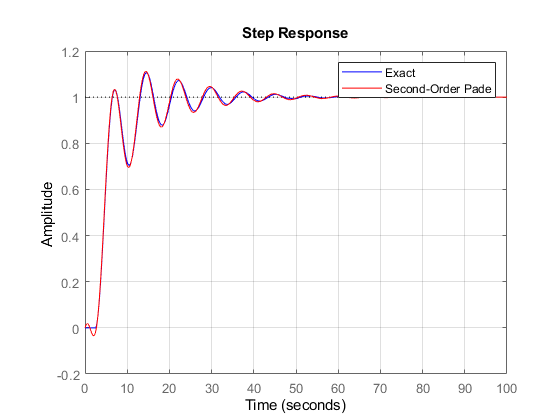 This example shows how to use Control System Toolbox™ to analyze and design control systems with delays. Many processes involve dead times, also referred to as transport delays or time lags. 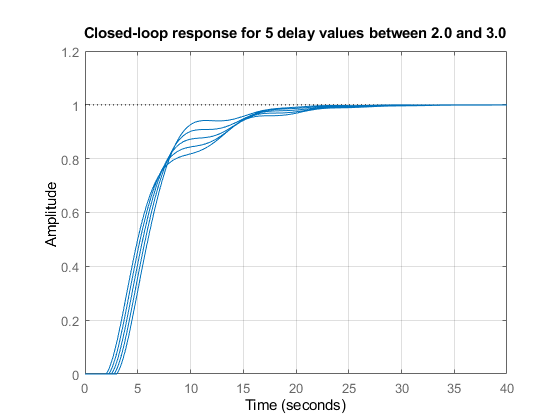 Controlling such processes is challenging because delays cause linear phase shifts that limit the control bandwidth and affect closed-loop stability. 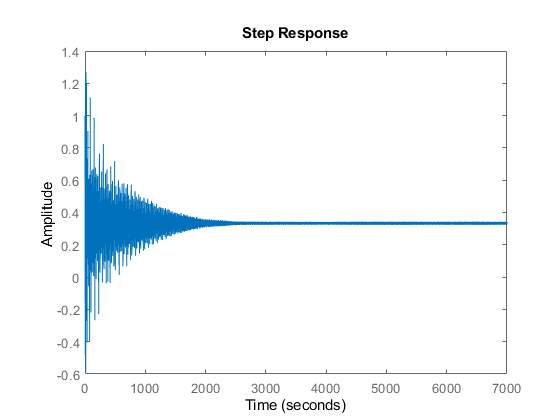 Using the state-space representation, you can create accurate open- or closed-loop models of control systems with delays and analyze their stability and performance without approximation. The state-space (SS) object automatically keeps track of "internal" delays when combining models, see the "Specifying Time Delays" tutorial for more details. 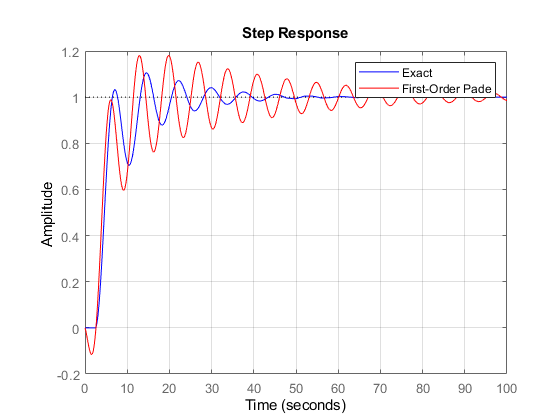 The result is a third-order model with an internal delay of 2.6 seconds. 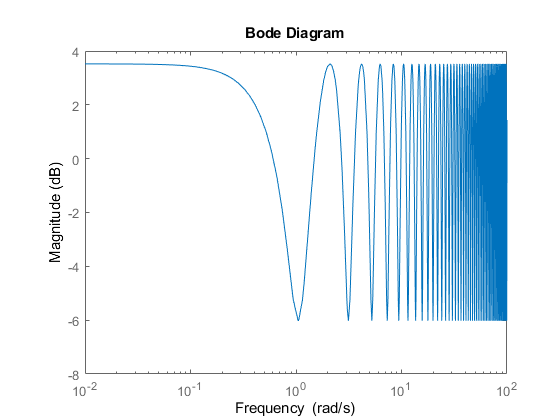 Internally, the state-space object T tracks how the delay is coupled with the remaining dynamics. 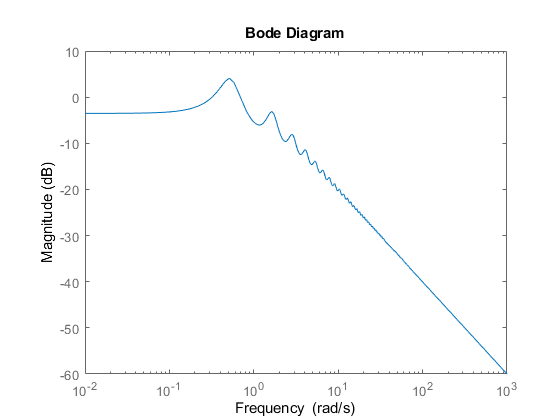 This structural information is not visible to users, and the display above only gives the A,B,C,D values when the delay is set to zero. 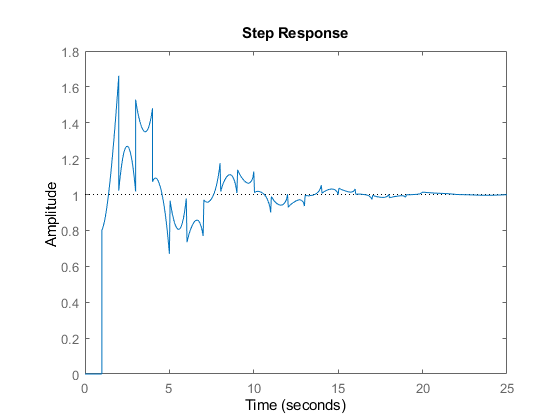 Many control design algorithms cannot handle time delays directly. 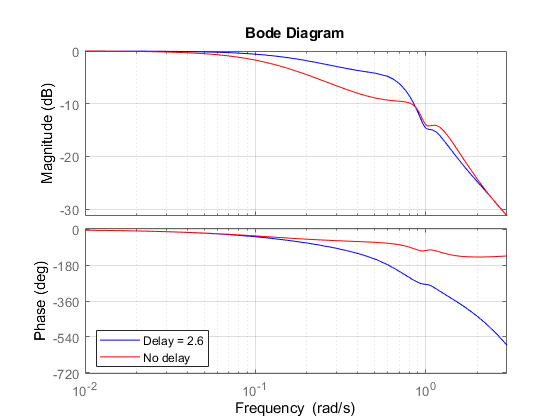 A common workaround consists of replacing delays by their Pade approximations (all-pass filters). 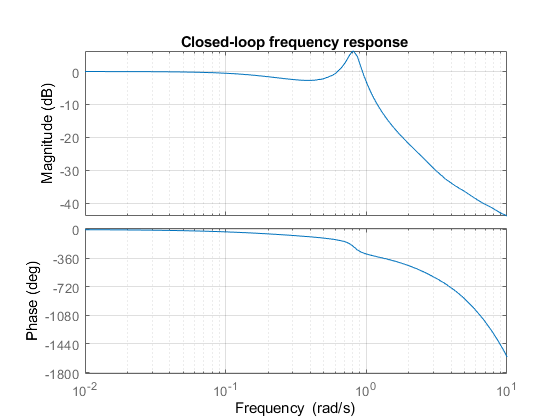 Because this approximation is only valid at low frequencies, it is important to compare the true and approximate responses to choose the right approximation order and check the approximation validity. 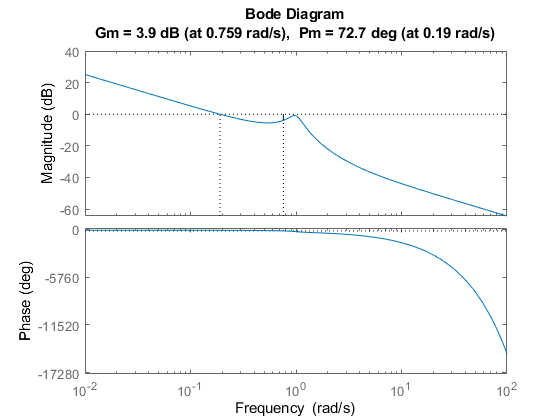 The responses now match closely except for the non-minimum phase artifact introduced by the Pade approximation. 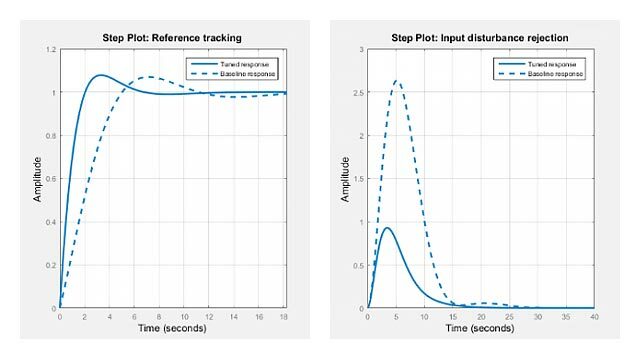 Delays are rarely known accurately, so it is often important to understand how sensitive a control system is to the delay value. 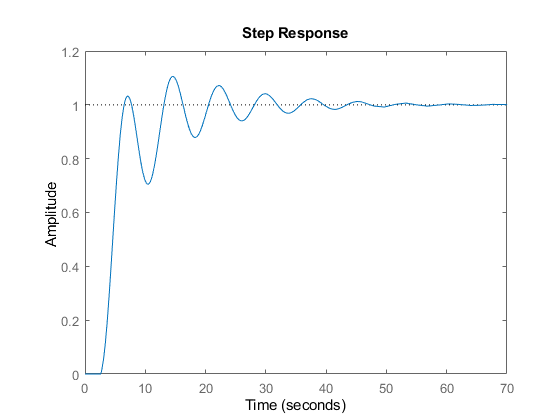 Such sensitivity analysis is easily performed using LTI arrays and the InternalDelay property. 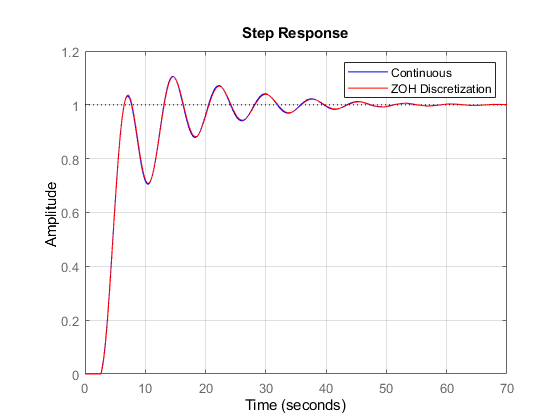 sampling rate if discretization error is large.